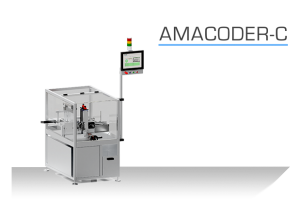 The Hicof AMACODER is a revolutionary coding line with tamper evident label applicators, based on an intermittent box transport mechanism. The line, made with Swiss craftsmanship is only 1.12 m long, providing high quality output and low reject rates. Automatic cartoner lines operate either intermittent (indexed) or continuous. Continous lines are capable of very high box throughput but are expensive and large. On the other hand, intermittent running cartoner machines are compact, cost effective but usually limited to a speed of 150 packs/min what is sufficient for most applications. 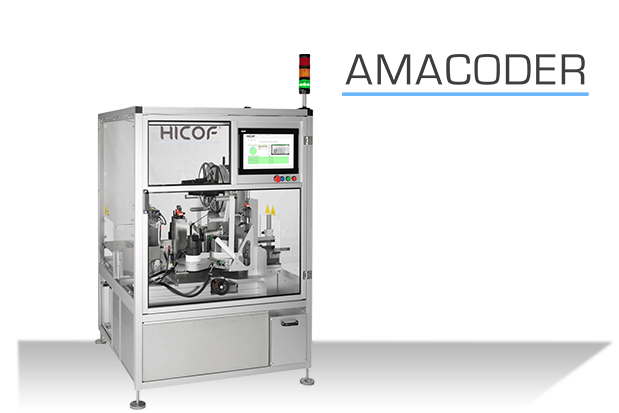 Hicof is the first and only company, offering a coding/ labeling line which works intermittantly. The unique, patent applied concept of the Amacoder is the use of pushers for transporting the boxes through the machine. Therefore, no conventional conveyor is used. It works as follows: Boxes, coming from an upstream machine e.g. 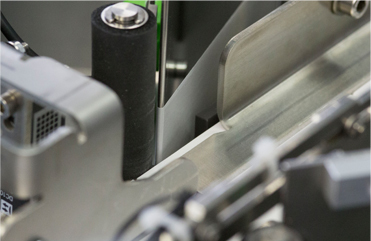 a cartoner or checkweigher, are transported by a conveyor to the infeed plate of the Amacoder. A feeding pusher (1) from the side shifts incoming boxes laterally onto the transport slide, in front of a second pusher (2) which shifts the boxes through the Amacoder. After a stroke of the pusher, it retracts to its initial position, leaving room for new boxes, introduced from the side. This cycle is repeated permanently, resulting in an indexed, highly controlled movement of the stack of boxes (3) through the machine. 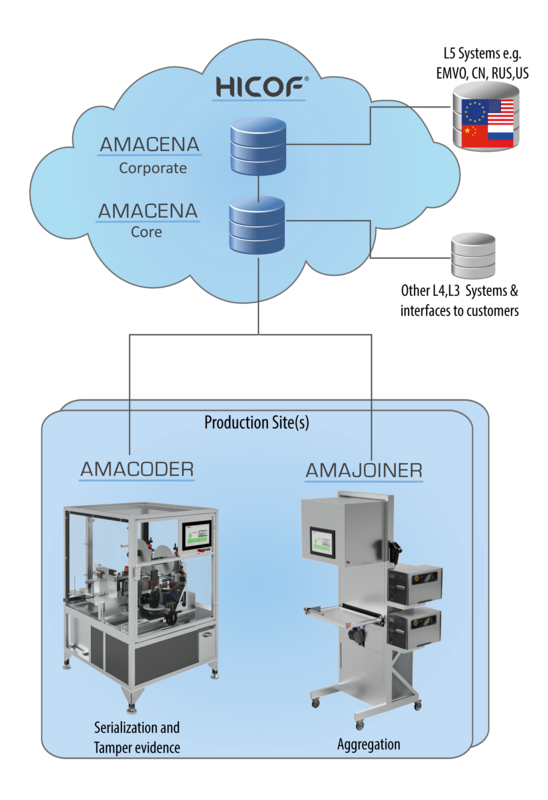 AMACENA is an integrated, comprehensive software suite to manage serialization/ Track & Trace data from the production lines up to corporate level where interfaces allow data exchange with governmental servers. 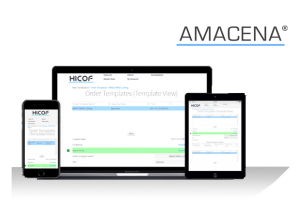 The use of AMACENA can be offered on subscription base as cloud service or as on-premise client-server solution. Hicof Alpha is a forensic high security feature based on anomalies which appear during any reproduction process of barcodes. The solution allows to distinguish between original barcodes and reprints without the use of additives, purely based on visual data. 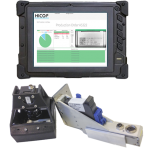 The Hicof Amajoiner is a manual aggregation station with a high resolution overhead camera. This allows low cost aggregation of serialized products to shipping cases and pallets.